Wine tasting is fun and heading out to find a new favorite is exciting. Sometimes you get a special surprise and get to taste from the barrel prior to bottling and get a preview of what's to come. Sometimes you show up and its 'New Release' day. But wait, what is a library tasting all about? The term “library wine” refers to a wine that is being kept or cellared away, or is part of a collection, basically, any previous vintage that is not being poured at the moment. 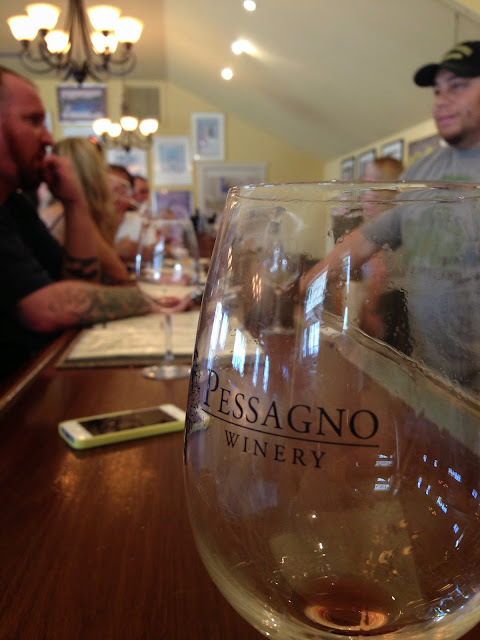 Some wineries put a little of each vintage of wine aside, to age, as library wine. 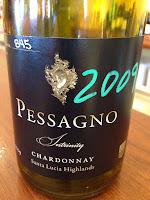 They may even offer these older wines for tasting (Library Day) and for sale from time to time. These may be a bit more expensive than a current release but give you a risk free way to taste before you buy, and when you do purchase at least the winery can guarantee that the wine has been stored properly. Also, most vintners taste through their library wines from time to time so they can tell you what kind of condition the wine is in and when to drink or continue to hold. 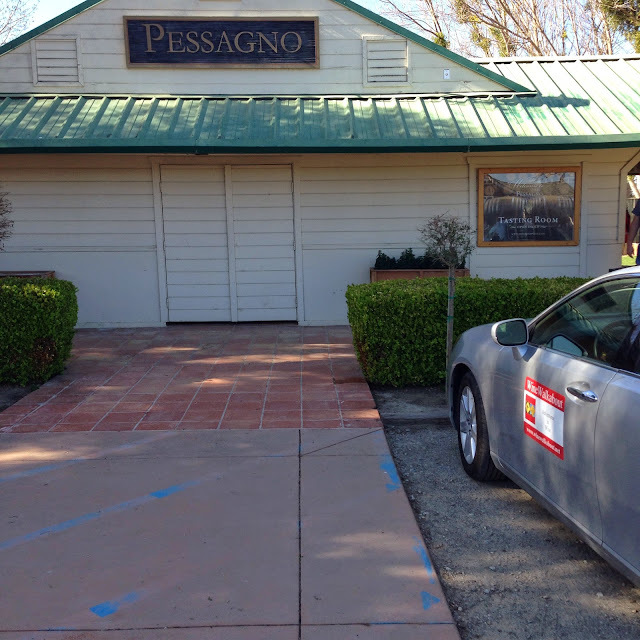 As it turned out upon a visit to a local winery for a tasting we were told about this Library Day. Not one's to shy away from work we immediately put the date in the calendar. 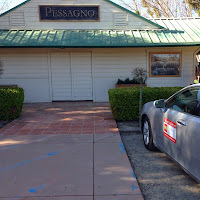 When the big day arrived it was off to the Pessagno Winery on Monterey Counties River Road Wine Trail for a Library Tasting. They do a Library on the first Sunday of each month. The tastings were of some older vintage wines that have been stored for just such an occasion. 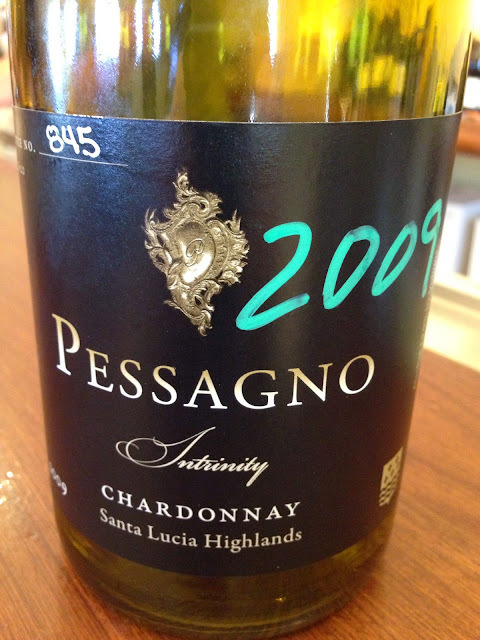 We started off with a 2006 and a 2009 Chardonnay - Intrinity. 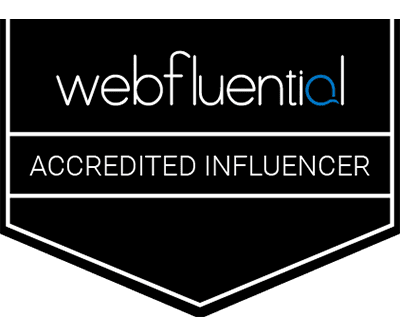 Intrinity is the only wine they make that is not from a specific vineyard designation. It does, however, come entirely from vineyards located in the Santa Lucia Highlands appellation, with the most notable ones being the Sleepy Hollow Vineyard and Lucia Highlands Vineyard. These two wines were fine examples of finesse in the art of oak supported Chardonnay winemaking, and both were drinking beautifully. 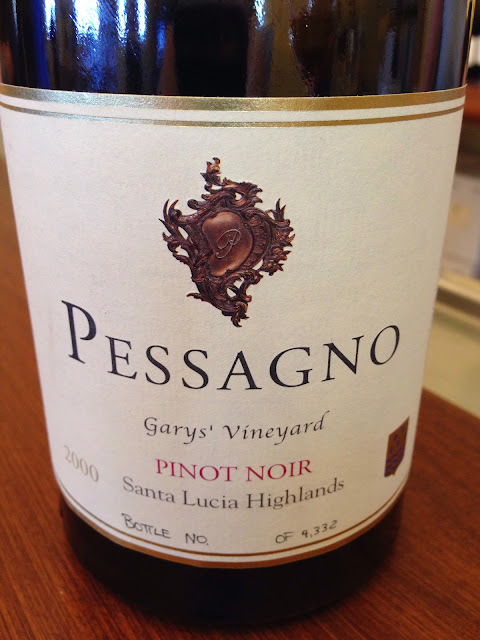 Next up was a 2000 Garys' Vineyard Pinot Noir from the Santa Lucia Highlands. Visually starting to show its 14 year age with a little bricking in color it was still drinking with full fruit expression and almost everyone who tried it purchased some. 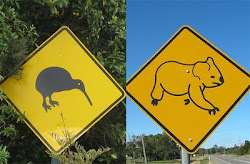 They ran out! Due to the run on the 2000 they opened a 2001 Garys' Vineyard Pinot Noir. A very different but no less enjoyable wine. Both great expressions of Santa Lucia Highlands Pinot Noirs. 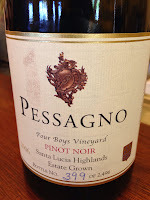 The last taste was of the wineries flagship Four Boys Vineyard Pinot Noir. 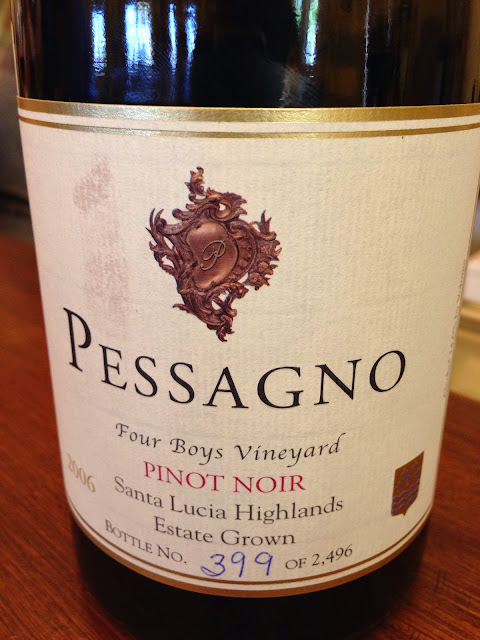 The Four Boys Vineyard is the name given to the four small Pinot Noir vineyards that, coincidentally, matches the number of sons the late Steve Pessagno had. The vineyards are aptly named Anthony, Stephen, Robert, and John. 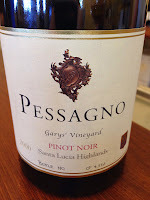 Planted to the famous “La Tache” clone of Pinot Noir, with origins from Burgundy, as well as several Dijon clones, these vineyards rival the best within the Santa Lucia Highlands appellation. In total, all four vineyards amount to approximately 3.5 acres. This taste was of the 2006 which tasted amazing. Time has been a friend to this wine in the few years since it was first released, that as memory has it was very good on release but now seems to be a little more with its full, lush mouth feel with layers of dark cherry, plum and cola. Beautifully balanced it has a long intense finish of cherry and vanilla that hangs on your palate, drawing you back for another sip. 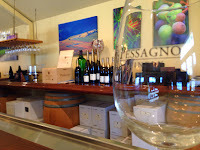 Easy to get to and easy to find this is a comfortable and spacious tasting room. 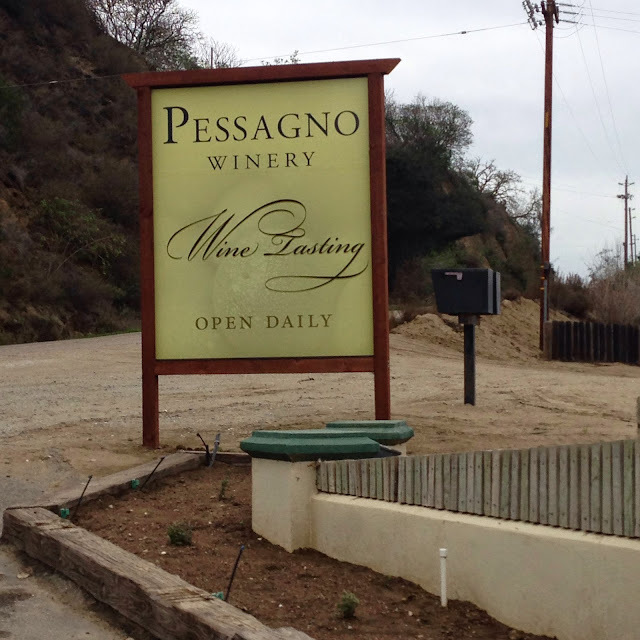 Head on over to Pessagno for a tasting and if you think about it remember the first Sunday of the month at Pessagno Winery is Library Day and we 'recommend' you give it a go and guarantee you will like it better than Library Day at School.